This project has emerged from practice-based research which saw WHAT_architecture expand into property development. This was undertaken in 2011 via the SPV WHAT_developments, which acquired the former Shoreditch Station, and subsequentlty in 2015 with the Game of Architecture Limited, which acquired this site in the notable regeneration area of Peckham. 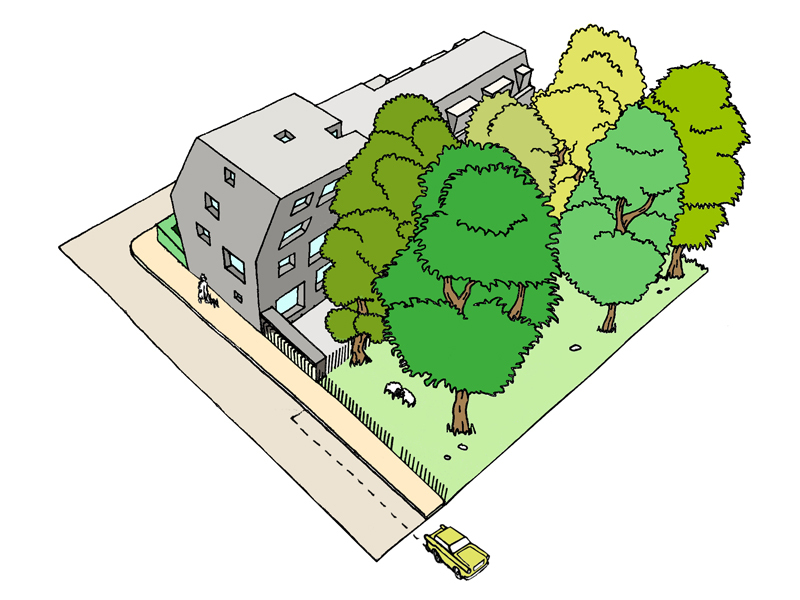 In December 2016 planning permission was granted for a development of four flats of varying mix: 1B2p, 2 x 2B4P and a 3B5p. 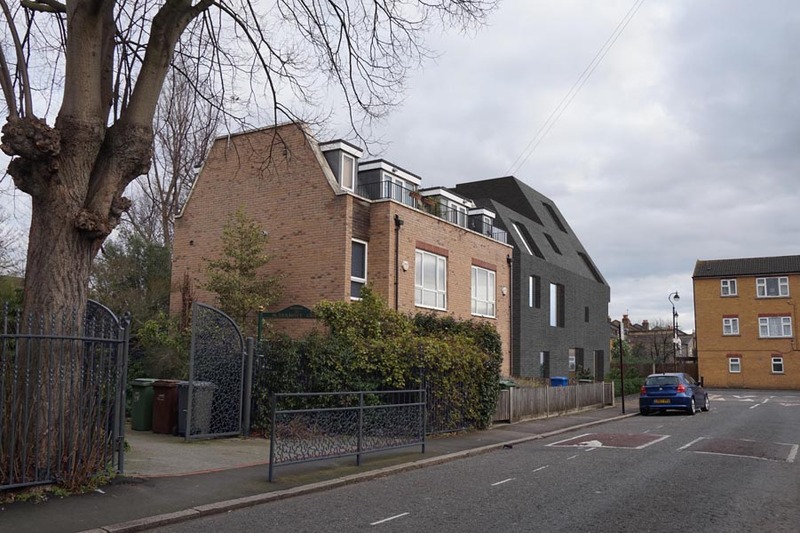 As a result of the adjoining building having a mansard, the proposal has an unusual morphology which embraces the neighbouring mansard but goes further: the mansard leans towards the large trees which exist in the McDermoot Road Nature Garden. the project is due to go on site in June 2017 for 12 months.